As an employee of Tellart. 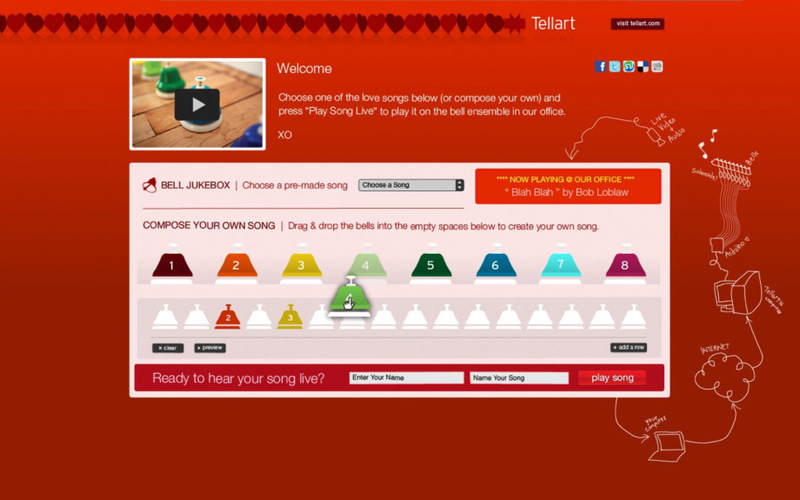 "For Valentine’s Day, Tellart launched the Love Song Machine–a brightly colored octave of mechanically played physical bells connected to a web-based music composition interface. 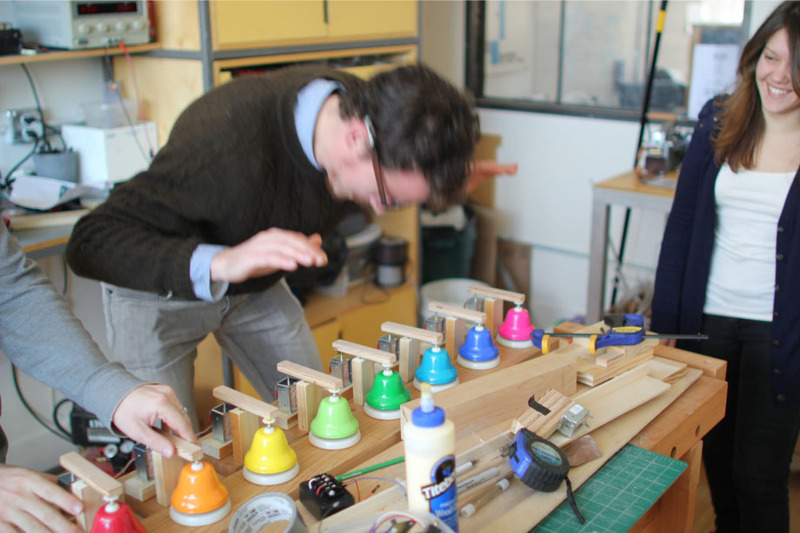 Players either selected a popular love song from a menu, or used a drag and drop composition interface to submit a song, and then watched as their songs were played out on the real bells in our Providence office. A live web cam showed the bells (and our team working and waving in the background) as the song played out. Jasper getting excited about it coming together. The UI at the time of the installation. 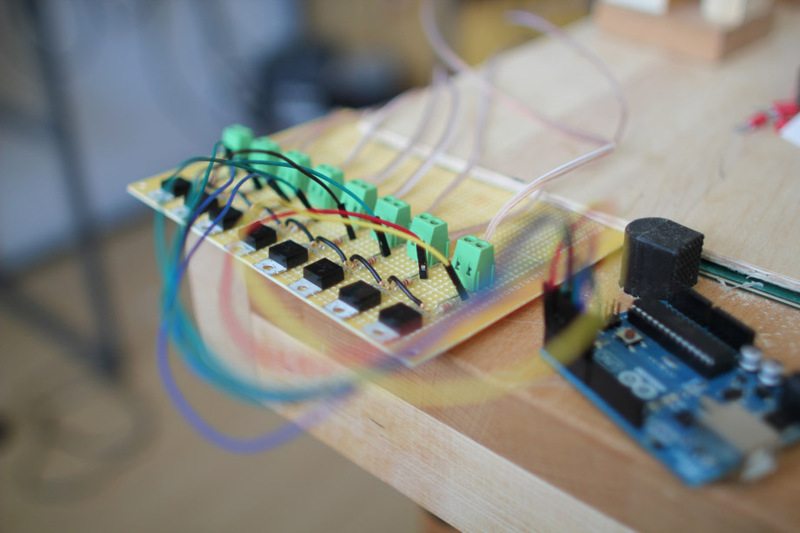 Custom bell controller controlled by an Arduino.